And while Lemmy never really discusses if the aforementioned aces are smoking or not, I think it'd be safe to assume there's about a 50% chance of that being true. 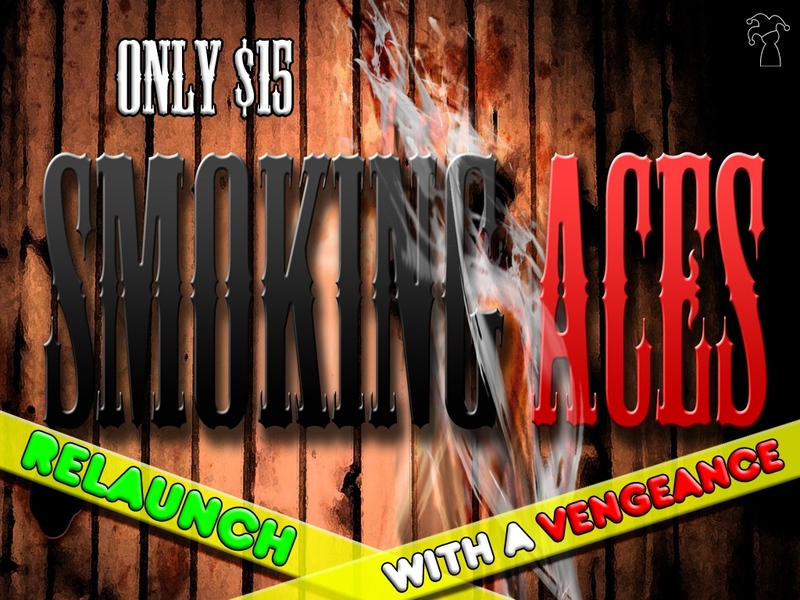 However, one place you're guaranteed to find Smoking Aces is up on Kickstarter now, as the campaign has been relaunched. This relaunch gives backers more content for the same original price (66% more content, to be exact). There's also a lower funding goal. For a brief recap, in the game, players play cards into their pocket (a face-up space on the table on front of them, not their actual pocket). Each card has a special ability on it. Players are looking to build up the best possible pocket by the time everyone has played their cards. This new campaign is 1/3 to their funding goal and still has 52 days on the clock to make up the rest.